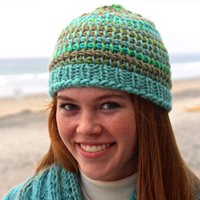 Most of our Patterns are free on Ravelry. Here are some highlights and a few bonus items. 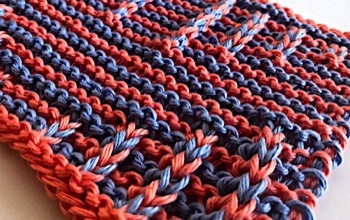 Learn how to use the Showy Decrease in an whole new way in this free e-book with 4 dish cloth tutorial patterns and 3 scarves. You can read about it in our series of 5 Showy Garter Decrease blog posts. 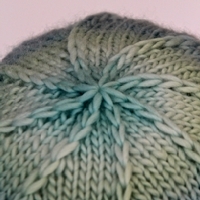 This hat uses Tunisian Knitting/Crochet. 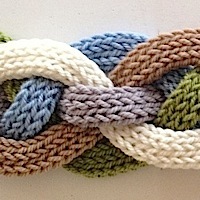 I find it a nice first step yarn craft especially for younger future knitters. Here are just a few of the free Knitting Nuances Technique Tutorials. You can see them all on our Techniques page. 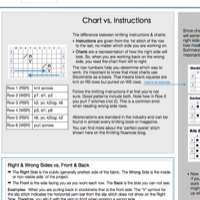 Our blog is also full of tutorials. 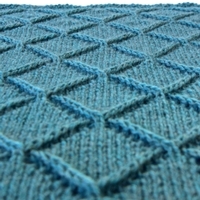 The next iteration of the Showy Garter stitch will be published in Showy Garter in Motion e-Book 2. 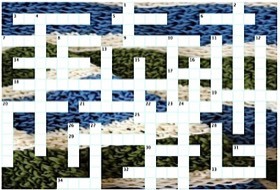 This blog post gives you a sample swatch to try out. Click on the photo below for the download. 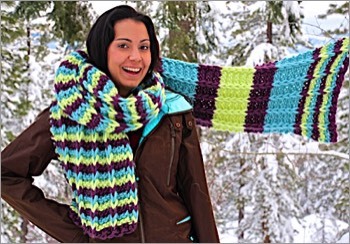 Anything on this page you are welcome to share with other knitters! Just please include the source. Designers: We have non-logo versions available for registered designers in our Designer Section. LYSs: Many of these can be used in class. Please see the LYS Section for our knitting class outlines.